Fill glass with ice. 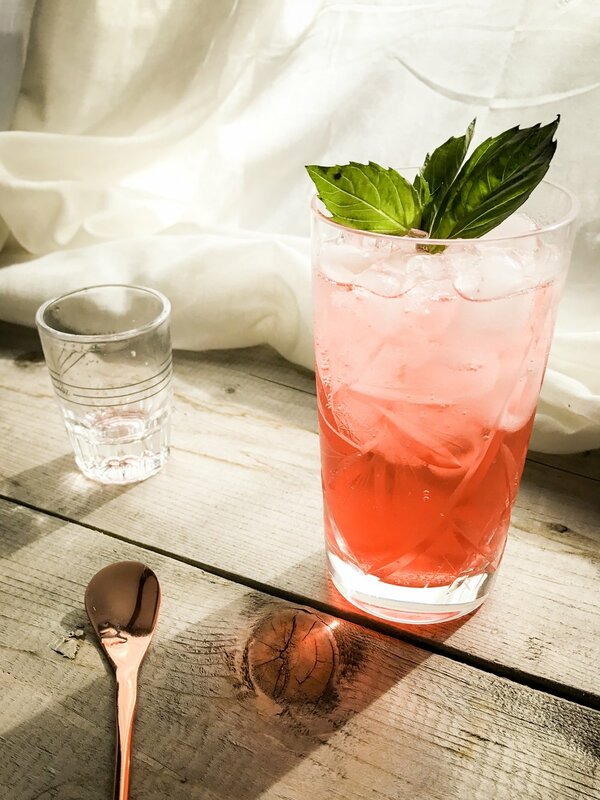 Pour shrub and gin into glass and top with club soda, sparkling water or tonic water. Stir and garnish with mint, basil or whatever garnish suits your tastes. This is a simple recipe to multiply for an event!